The NE555 monolithic timing circuit is a highly stable controller capable of producing accurate time delays or oscillation. In the time delay mode of operation, the time is precisely controlled by one external resistor and capacitor. For astable operation as an oscillator, the free running frequency and the duty cycle are both accurately controlled with two external resistors and one capacitor. 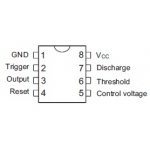 The circuit may be triggered and reset on falling waveforms, and the output structure can source or sink up to 200mA. 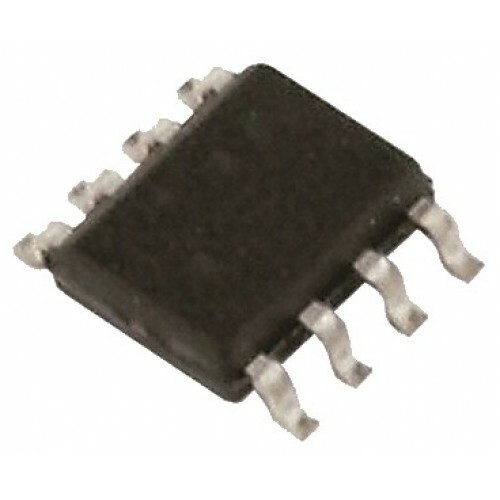 The 555 timer IC can be used in countless applications and has three recognised operating modes. In monostable mode the 555 functions as a one-shot or pulse stretcher. Applications include timers, missing pulse detection and bouncefree switches. 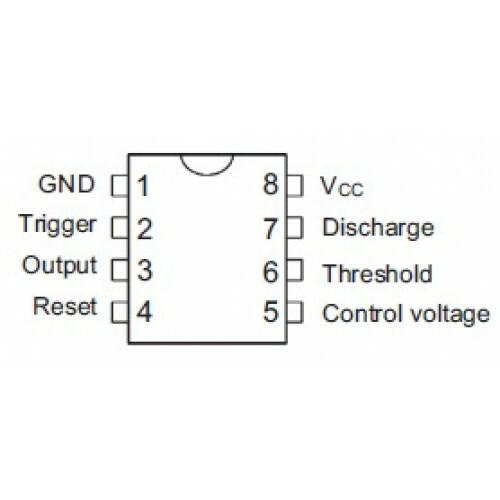 In astable mode the 555 can operate as an oscillator. Applications include LED and lamp flashers, pulse generation, logic clocks, tone generation, security alarms and Pulse Width Modulation (PWM). In bistable mode the 555 can operate as a flip-flop or changeover. Applications include bouncefree latched switches.